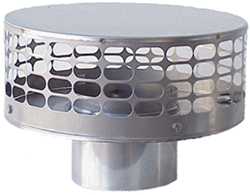 Our Chimney caps are made in the USA, and used by chimney professionals all over the world. Sturdy with a unique patented design, that features an all-in-one piece base with stamped out animal proof oval hole mesh. Available in over twenty styles and thousands of stock sizes. Also available in copper and custom sizes. Please sign up to order online or email us for a price quote. 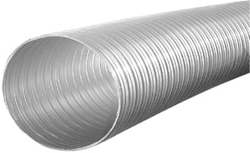 All of our chimney liners and liners parts are made from 316L stainless steel. Tested and approved to UL1777 zero clearance standards and backed by a Lifetime Warranty. All purpose good for oil, wood, gas and pellet fuel heating systems. 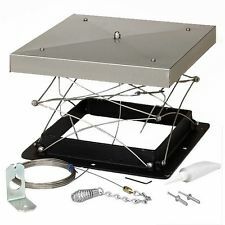 You can buy our chimney liner by coil or in a complete kit that has everything you need to get the job done. And since we make it, you will not find a lower price- guaranteed! Chim Cap offers a wide variety of professional chimney maintenance products to make installation, and chimney care a breeze. Our products are used by chimney professionals all over the world. We carry a full line of brushes, rods, creosote removers, top sealing dampers, heat shields, crown repair mortar, sealants, hand tools, turbine caps, and waterproofing products.